Miss Massachusetts: Miss America Changes Good, But "Drastic"
There are major changes coming to the Miss America pageant, and Miss Massachusetts agrees, for the most part, that they should be made. Specifically, the swimsuit part of the competition is being eliminated. Also, the evening gown portion of the competition will be shifted to include casual or formal wear. 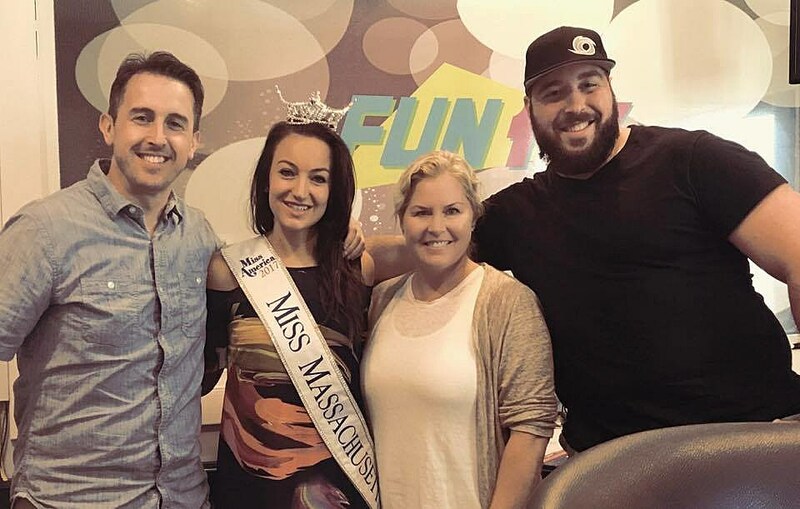 Jillian Zucco, the current Miss Massachusetts until June 30th, appeared on Fun 107 this morning to talk about the changes to the 97-year-old pageant. Zucco agreed that this was part of an effort to downplay "looks" or "appearance" in the Miss America competition...a move in which she is in general agreement. However, Zucco firmly believes that fitness should be a part of the pageant. "Miss America should be fit," says Zucco. The Mattapoisett native did suggest, however, that there may have been too many changes. "There definitely needed to be a shift, though...people were focused so much on the swimsuit and it was worth so little...10% or 15%. People were obsessed with it, to be honest." Zucco also told us she didn't remember "beauty" really ever coming up as feedback from the judges during her road to the Miss America Pageant. She said that she was repeatedly told by judges, however, that she was too muscular. You can listen to the full interview with Jillian Zucco below.